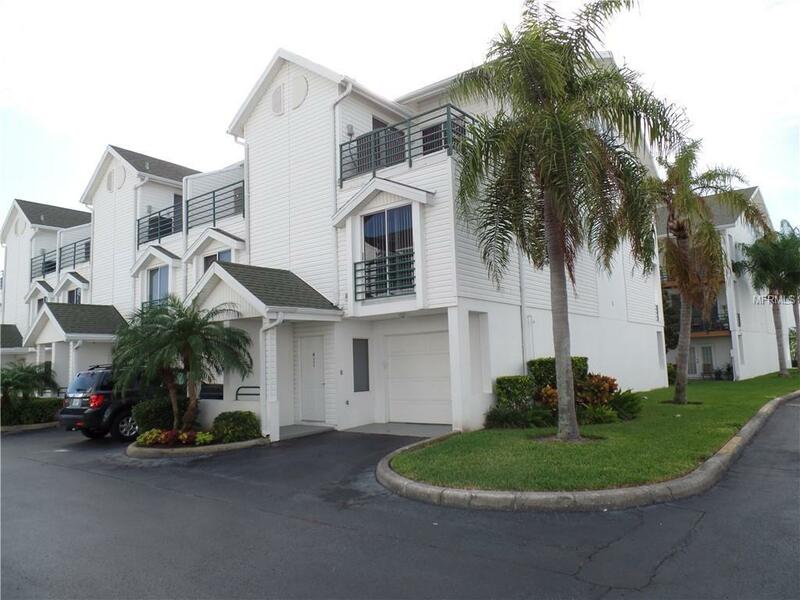 This 3/3 and 3 car garage plus loft, Town home-style condo is located just minutes from fabulous Clearwater Beach with its top ten world wide sugar sand beaches. The unit is located just steps from its tranquil pool area complete with spa and the largest pool area and pool on the island. The unit has 3 private balconies with state of the art decking. Home has never been a full time residence. The entire unit has been fully renovated from flooring to the ceilings. The kitchen is completely upscale with top of the line appliances and custom cabinetry. All three bedrooms and bathrooms are fully remodeled with luxury fixtures, tile and cabinetry. The new flooring is easy maintenance and throughout the unit. There is a state of the art spiral staircase from the master leading up to a private loft with volume ceilings for a private computer room, den or crafts area. There is a full size laundry room in unit with newer appliances. This is truly a turn key unit just bring your taste for decorating. The community is located right next to the brand new Publix shopping complex and the island is self contained with restaurants, banks, shopping and more. Fabulous Island Estates is walking distance to everything our World Wide top beaches offer. There is nothing to do in this spectacular home except move in and come live the life style we locals call "Salt Life"